The 4th International Conference on Engineering Technology 2019 (ICET 2019) will be held from July 6th – 7th, 2019 at DITC Kemaman, Terengganu, Malaysia. 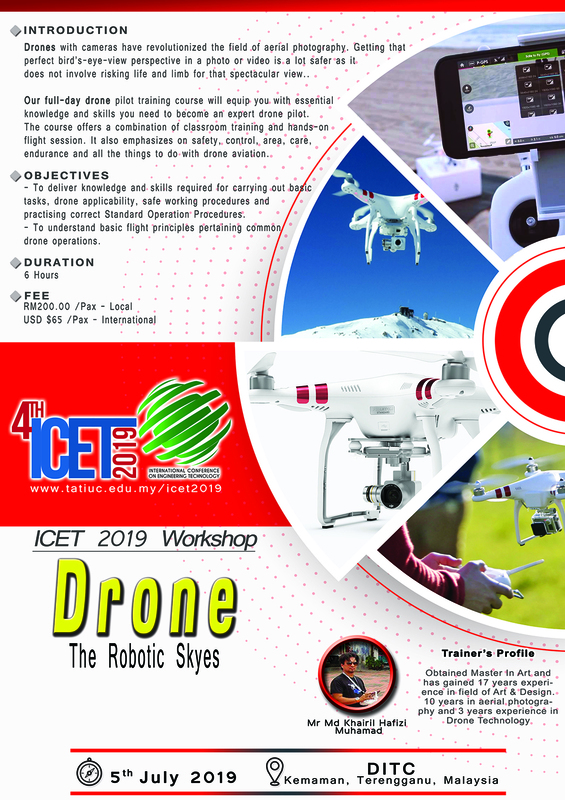 ICET 2019 is intended to provide a platform for researchers, engineers, academicians as well as practitioners from all over the world to present their latest research findings, ideas, developments, and applications in all aspects of (automation, robotics and sensors) Robotic Automation System (ICORAS 2019), Advanced Manufacturing (ICAM 2019), Chemical Innovation (ICCI 2019) and Information Technology (ICIT 2019). This conference will provide opportunities for delegates to exchange new ideas and research findings in a face-to-face environment. It is also a good medium to establish business or research alliance for future collaboration. Submitted conference papers will be peer-reviewed and please be advised that the acceptance criteria are based on quality, originality and relevance. Copyright © 2018 Darul Iman Training Centre. All rights reserved.